Holiday and travel in NEw Zealand on a visitor visa! Just because you don’t have the time to spend a whole gap year in New Zealand doesn’t mean you have to miss out on the backpacking experience. An epic travelling adventure can still be had in a few months by visiting the country on a visitor visa. 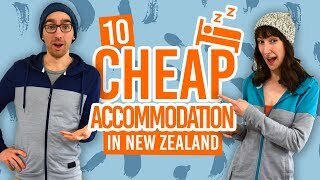 (Take a look at our Travel Advice article and video to know what other steps you need to take to plan a trip to New Zealand). “Visiting” New Zealand refers to someone temporarily staying in New Zealand without working in the country. The maximum time you can stay in New Zealand as a visitor depends on what country you are from. Read our quick guide below to find out what you need to visit New Zealand. If any of the following circumstances apply to you, you do not need to apply for a visitor visa to New Zealand. Some of them are pretty darn obvious, but we will list them to cover all the bases. You are a New Zealand or Australian citizen. You have a New Zealand resident visa. You have a New Zealand permanent resident visa. You have an Australian permanent residence visa. You have an Australian resident return visa (excludes Australian temporary or provisional residence visa). You are from a visa-waiver country (see below). There are also exceptions for people, for example, who are air flight crew, military, cruise ship passengers, etc. You can find more information about that on the Immigration New Zealand website. Some countries have an agreement with New Zealand and are allowed to come to New Zealand for three months to travel without having to go through the process of getting a visa. As you can see, there are heaps of countries on the visa-waiver list. We have listed them by continent to make finding your country easy. List date: 2015. For full list please refer to the official visa waiver countries page. From a visa-waiver country? That’s great! This means you don’t have to apply for a visa before you come to New Zealand. However, there are a few things you should be aware of before arriving in the country. complete the “Passenger Arrival Card” during the flight to New Zealand (this is essentially how you apply for your visitor visa). have a passport that is valid three months beyond the date you intend to leave New Zealand. have evidence for sufficient funds and onwards travel (see section below). 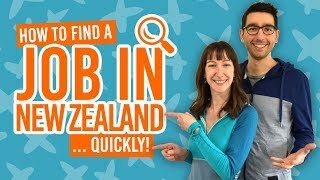 have no intention of studying or working in New Zealand (for that, you would need a working holiday visa or student visa). Please note that, as a citizen of a visa-waiver country, your visitor visa will be granted at the airport on arrival into New Zealand. It will usually be electronic, meaning that you may not get a visa stamp or label in your passport. You will need to prepare some documents to present to the immigration officer on arrival into New Zealand. It’s true that these documents are not always asked for, but the time you risk it will no doubt be the time that you need the documents. You will need evidence of onward travel and evidence of sufficient maintenance funds while you are in the country. What type of onward travel evidence is accepted? Travel tickets, can be confirmed or open-dated, out of New Zealand. Written confirmation from an airline or travel agency that onward travel is booked and paid. Anything that demonstrates a confirmed departure from New Zealand, like a yacht or private aircraft departure. How much “sufficient funds” do you need to visit New Zealand? 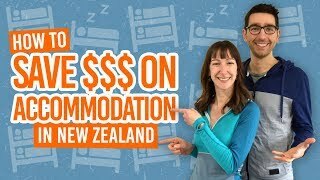 You need to provide evidence to show you have either NZ$1000 per month that you intend to stay in New Zealand, or NZ$400 per month with evidence that you have paid-for accommodation. (Learn more about the New Zealand currency here). What type of sufficient fund evidence is accepted? Bank statements in your name. Not from a visa-waiver country? Then you will need to apply for a Visitor Visa before arrival! Sure, it’s a bit more hassle, but nothing that a bit of forward planning can’t handle. Those from countries not listed on the visa-waiver list must print and fill out the Visitor Visa Application (INZ 1017) form and send the paper application to your nearest Immigration New Zealand office. You can find the address on the Office and Fee Finder. Your visitor visa must be accepted before you enter New Zealand. The appropriate fee (see the Office and Fee Finder). If required, a medical and x-ray certificate (in most cases it is not required). Evidence of sufficient funds to support your stay (see section above). Evidence of onwards travel (see section above).